Connect to and keep track of services your bot depends on. Refine LUIS and QnA Maker applications your bot depends on. Bot Framework V4 Emulator (preview release). Please see here for an overview of the end-to-end bot development workflow. 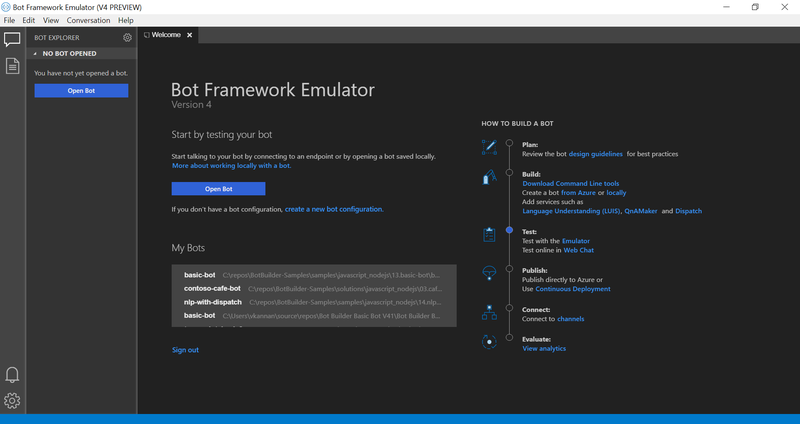 To get started, you can create a bot with Azure Bot Service. Click here if you need a trial Azure subscription.